To promote school and family-based dietary changes. To reduce the risks and issues associated with childhood overweight and obesity. 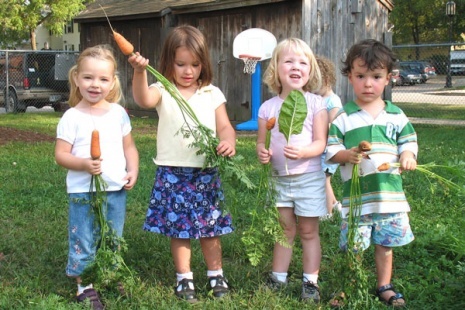 Children learn to grow, harvest, and prepare nutritious seasonal produce. Children become familiarized with healthy food and snack choices. Understand how the natural world sustains us. Make good nutritional choices at any early age. There are eight Daycare facilities in the Lakes Region area that have added the Early Sprouts curriculum and gardens to their programs. For more information, contact Partnership for Public Health at (603) 528-2145 and visit Early Sprouts Website. Copyright© 2019 Lakes Region Partnership for Public Health and Mainstay Technologies, LLC. All rights reserved.